1,000s of Wildflowers. Countless Memories. Click here to request more info when it becomes available. 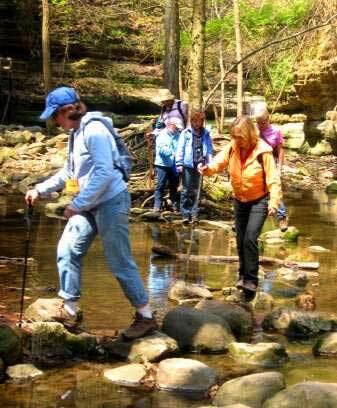 10 am: Meet at the parking lot by Starved Rocks Visitor Center (not the Lodge), ready for our hike. 11 am: Well carpool to our hikes starting point at magnificent Council Overhang. 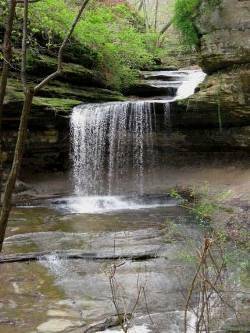 From there, our 6-mile hike takes us along the Illinois River where well spot barges passing through locks, white pelicans that arrive with spring, and signs of resident beavers. Well stand beside  and behind  waterfalls that cascade up to 80 feet. 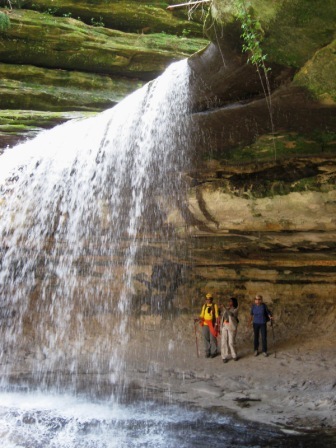 Well explore 12 sandstone canyons whose cliffs tower 100 above us. 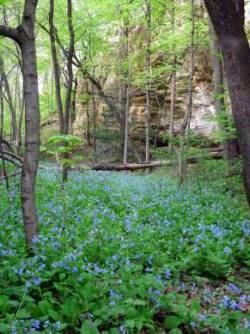 And... well be greeted by woodland wildflowers adorning our trail. 4:30 pm: Check into your room and freshen up. 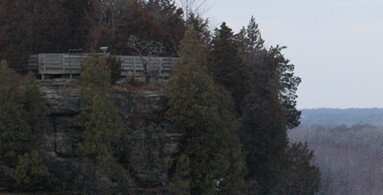 6:30 pm: Enjoy delicious dining and warm camaraderie at Starved Rocks historic lodge. 8 pm: Savor free time to swim, soak tired muscles in a hot tub, join in group games in the great room, or simply relax. 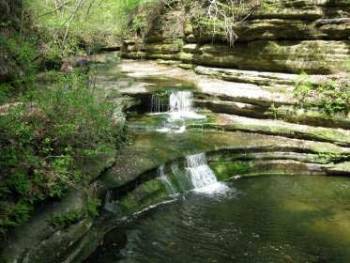 9 am: This lovely 3-mile hike takes us past three canyons as we hike from Starved Rock Lodge to St. Louis Canyon, its 80-foot waterfall, and tragic story. 11 am: We may have saved the best hike til last. 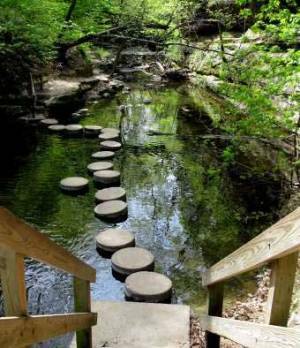 This 3-mile path at Matthiessen State Park rock-hops back and forth over a stream, past 3 charming waterfalls, and through two 100-foot high sandstone dells. Wildflowers and happy frogs abound here! 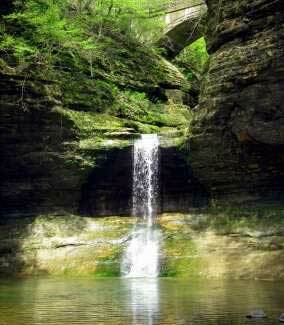 and with wonderful memories of waterfalls, canyons, and friendship. Best Western in Oglesby 815-883-3535; 900 Holiday St, Oglesby, IL. Our great hotel offers an hot tub/indoor pool, complimentary hot breakfast, WiFi, laundry & fitness center. Rooms have two queen beds, mini frig, micro, cable TV, clock radio, hair dryer, iron/board, and toiletries. Two leaders throughout the getaway. 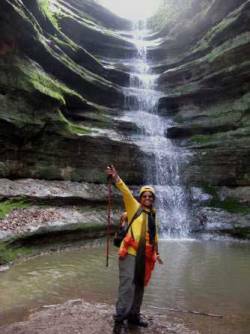 2 days of guided hikes by experienced, knowledgeable guides. Packet with area and getaway info. Prefer to room solo? Add $45. (Registration cost is nonrefundable.) Don?t wait; these getaways fill quickly!